Counted amid one of the pioneer names, we are occupied in bringing forward a commendable assortment of Marine Motors. Obtainable with us in different sizes, these can also be altered as per the specific needs of our customers. Additionally, our clients can buy these from us at industry leading rates. In order to cater the variegated demands of our clients, we are offering an excellent quality range of Marine Industrial Hydraulic Motor. We are Supplier and Exporter all types of Used, Reusable, Reconditioned Marine Ship Hydraulic Motor : Hugglunds, Stella, IHI, etc from Ship Recycling Yard, Alang India. Synch Speeds :-: 300, 400, 500, 600, 750, 1000, 1500, 3000 R.P.M. or any combination in two or three speeds. In order to carve notable position in the industry, we offer an exceptional array of Marine Motors that are durable in nature and are configured with modern technologies. Our entire product range is abrasion resistant and is functionally updated. They are delivered in varied grades. Keeping in sync with the latest market norms and policies, we are indulged in providing a high-quality range of Electric Marine Motors. You can find all 3 phase induction motors in 50 Hz various HP and various RPM and voltage. 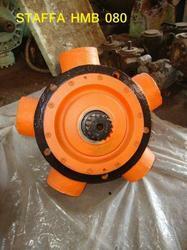 Our company holds vast experience in this domain and is involved in offering Marine Motor. ABB s motors comply with all the requirements of classifi cation societies, ship owners, shipyards and manufacturers of ship based products for applicationssuch as fans, pumps and compressors, hydraulic pumps, lifting and cargo systems, offering economical and reliable high performance in heavy-duty operation. - 3-Phase electrical motors upto 220 KW with Control Panel. - Motorised blowers upto 15 KW with Control Panel. 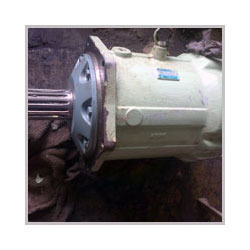 - Geared motors upto 15 KW with Control Panel.